Ah yes, the living room… the main lounge area and central decor of the house! 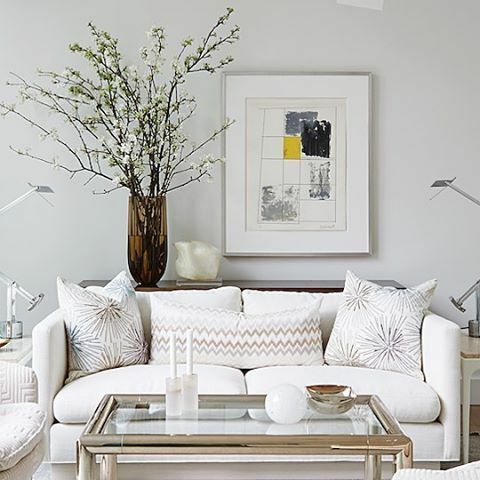 There are so many ways to style the living room especially the often-ignored slice of space behind the couch. 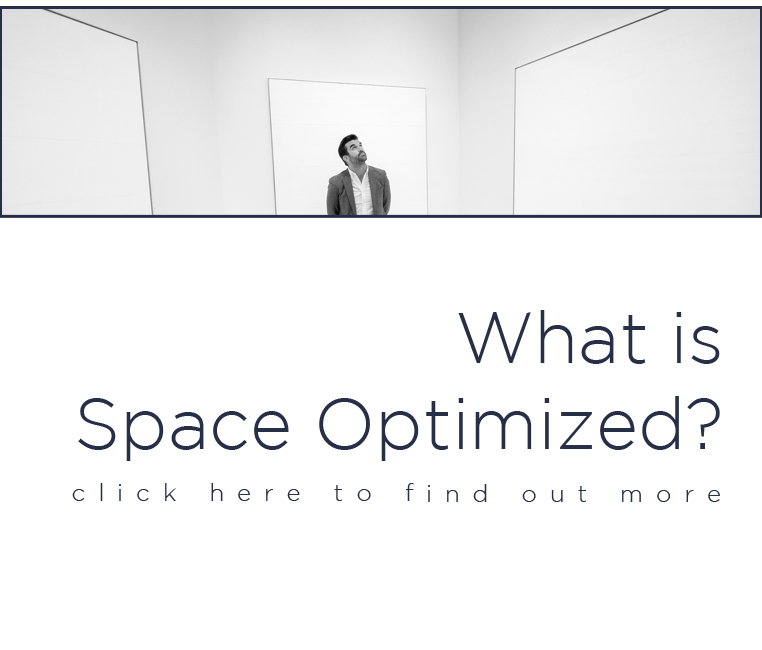 Usually, the space behind the couch is left bare, naked, blank. It doesn’t have to be that way! 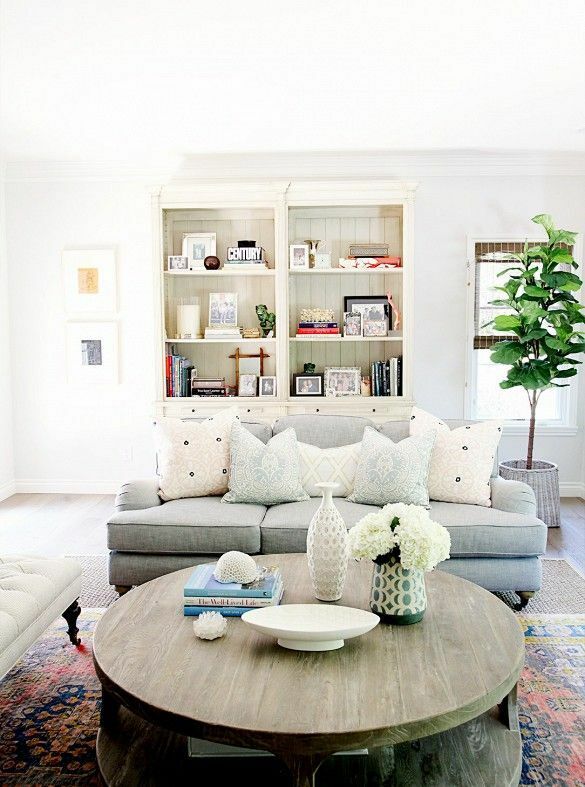 When it comes to styling the blank space behind the sofa, the possibilities are endless. One of my favorites is to hang artworks on the wall. It’s the oldest trick in the book but it’s one of the best ways to dress up a blank space. 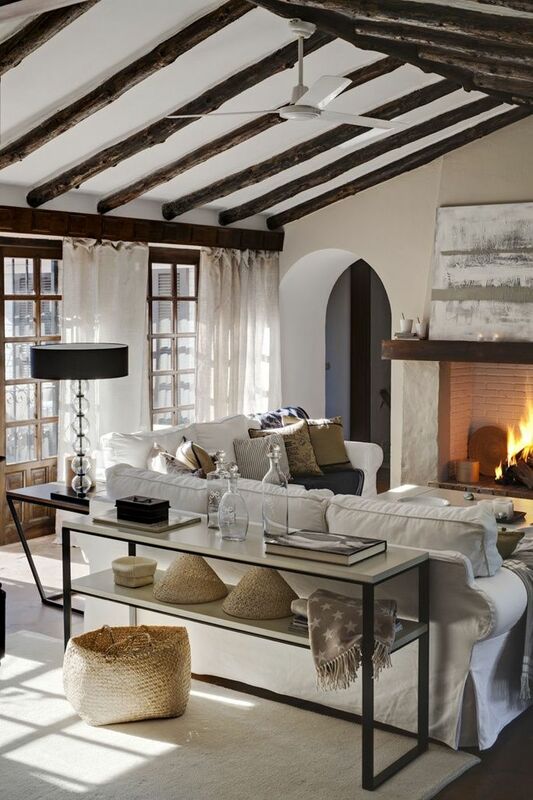 This is a great idea especially if your living room is drowning in neutrals. A pop of color helps break the monotony, giving an otherwise plain room personality. 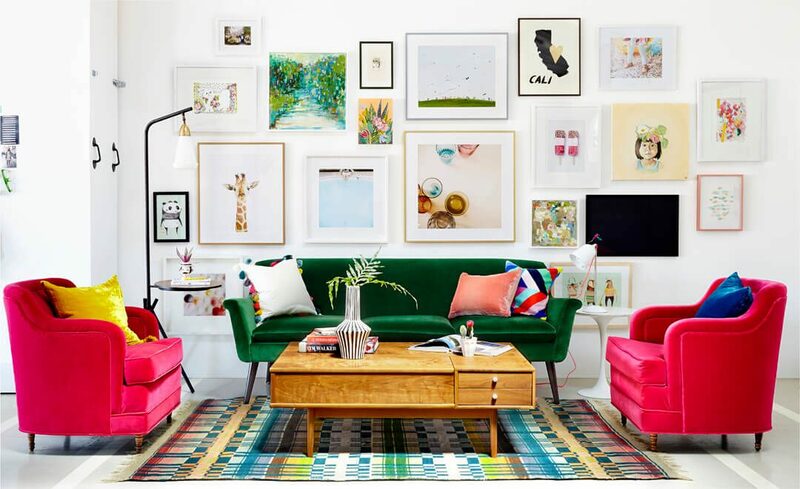 You can hang a lone painting on the wall or build an art gallery wall for an eclectic mix of eye candies! 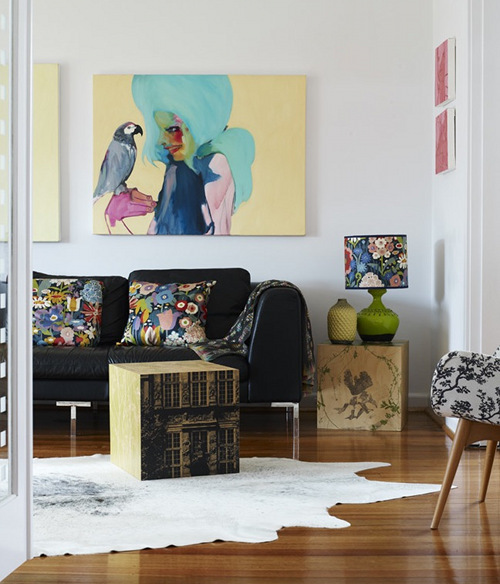 You can even use the space behind the sofa to display artworks you created to give guests something to talk about. A lot of thought was probably put into getting the couch placement right. But the space behind the couch? Not so much. A great way to fill that empty space is placing an accent table, a stunning table that runs the entire length of the couch. This is a great idea for sofas that aren’t set near or against the wall. You want people to see that striking table! Dressing this slice of space with a long table not only ups the ante style-wise, you also get extra storage space. 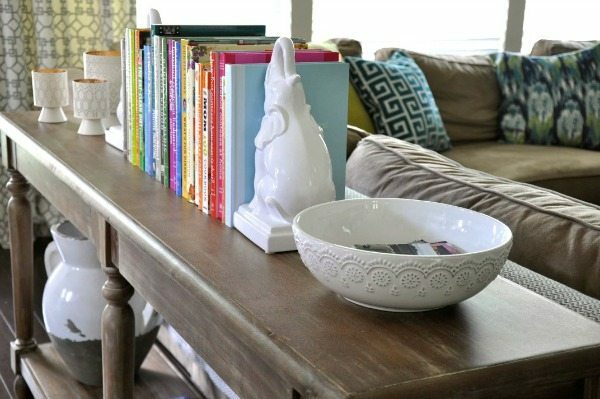 You can use the table to organize all your living room staples – remote controls, chargers, magazines, lamps, picture frames, etc. This is similar to the previous style idea only this time, the table is sandwiched between the couch and the wall. My living room is set up this way and trust me, it enhances my plain small apartment design! Again, you get extra storage space by placing a table between the couch and the wall. You can use that space to organize your living room essentials or display decorative knickknacks. Since the table is concealed, all the items you put on display look as if they are floating behind the couch. Got a cool collection you’d like to display? Why not showcase what you love in the space behind the sofa? 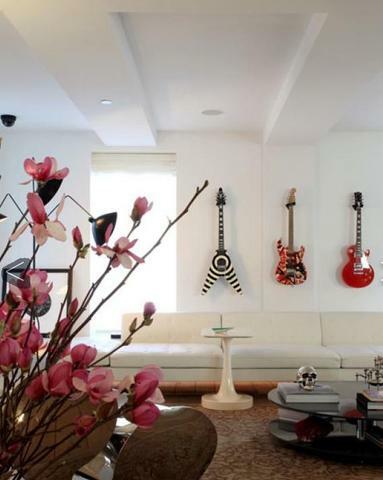 Wow guests with your vintage guitars, comics collection or other prized possessions! 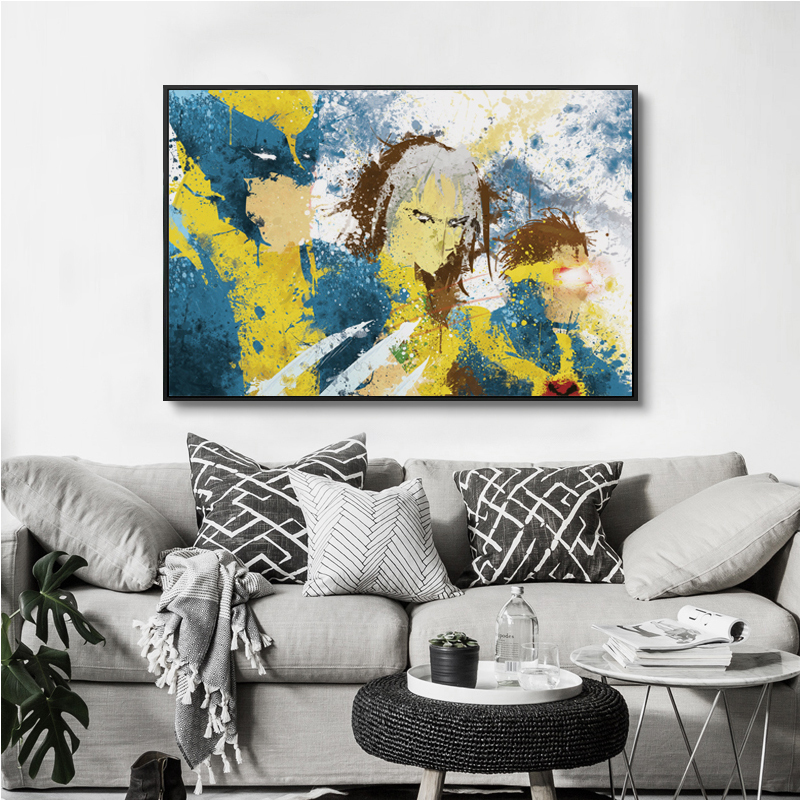 Displaying your passions on the wall is a fantastic way to customize your small apartment design. These personal touches allow you to create a home that you can genuinely appreciate. 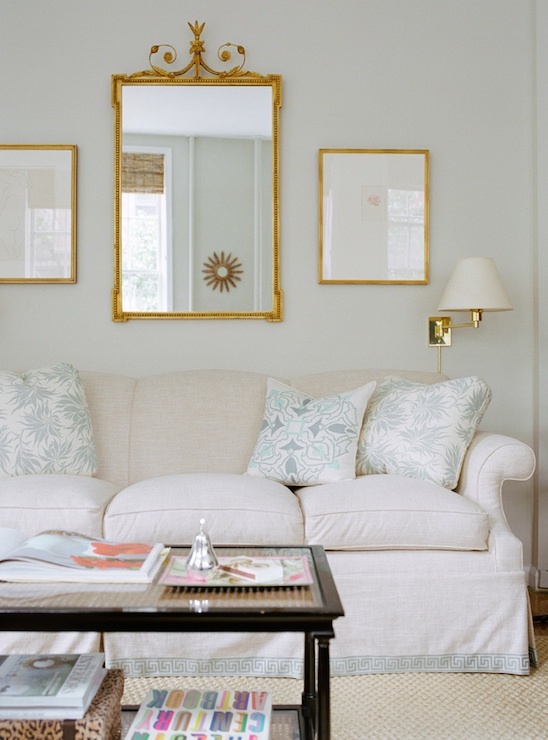 Decorating with mirrors is perhaps the easiest way to make a small room look larger. 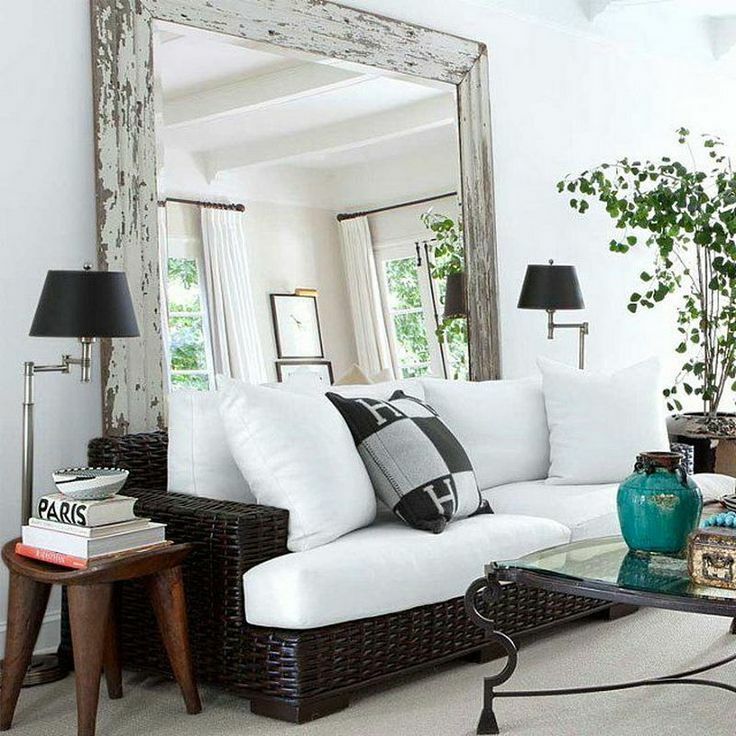 And nothing adds drama to that slice of space behind the sofa than a striking mirror! You can hang an accent mirror on the wall or prop a full-length mirror against the wall. You can also hang decorative mirrors in different sizes for a fun yet elegant display. Even a small mirror with an interesting frame adds depth and character to this area. Don’t be afraid to experiment with different looks to create a uniquely styled space! 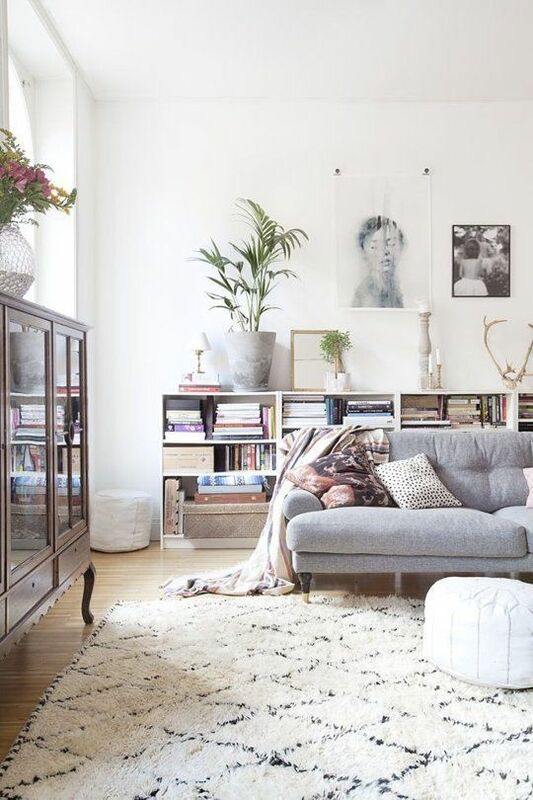 If you’d like to make every inch of floor space work harder, flexible storage pieces like a bookcase make a perfect decor for the empty space behind the sofa. You can opt for the traditional tall bookcase to optimize all that vertical space or a petite bookcase so you have extra surface storage for your decors. This is a great solution for fellow book collectors who are running out of space for their precious collection. Shelves are fantastic in terms of turning often-overlooked spots into flexible storage spaces. 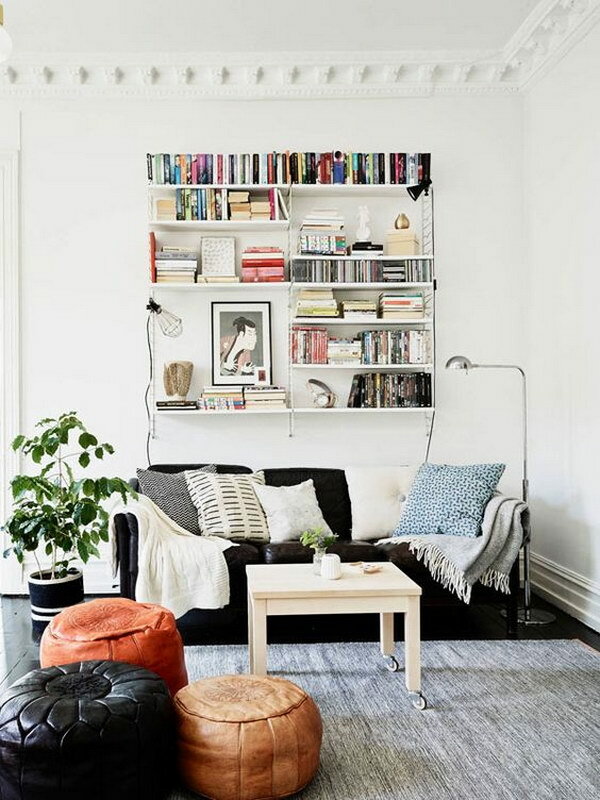 So why not install a couple of shelves behind the sofa to elevate your small apartment design? Use that space to showcase decorative items, souvenirs from your trips, or heirloom pieces. You can also use the shelves to mix and match artworks and family photos! To reduce wall damage and achieve that sleek flawlessness, use floating shelves. Or you can opt for stand alone shelves! Go for petite, skinny shelves to reduce the visual load. 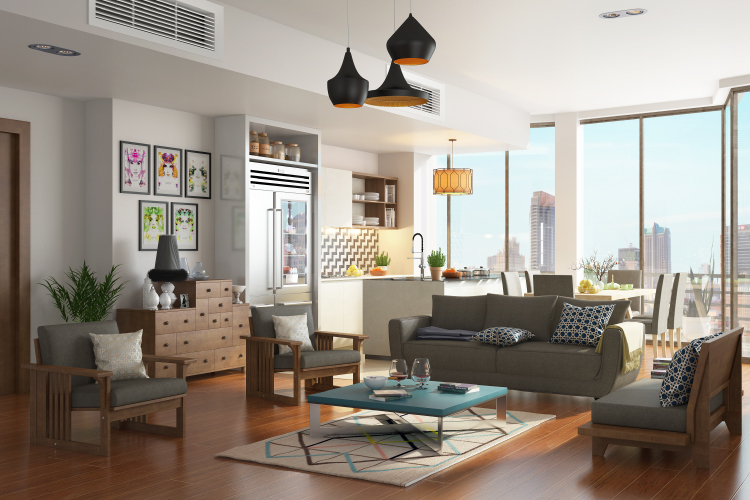 Styling an open floor apartment can be quite challenging especially if you’re dealing with limited space. 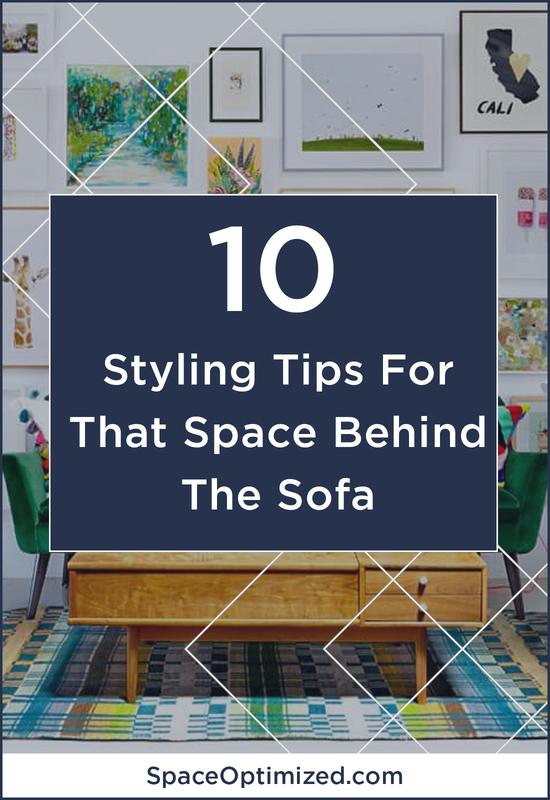 If your living room is just a few steps away from your dining and kitchen rooms, you can use the back of the sofa to create separation between rooms. Just set the dining table behind the sofa, the effect will be dramatic + your setup looks put together, instantly. Or if say, your kitchen is just a few steps away from the living room, set the kitchen counter behind the sofa. 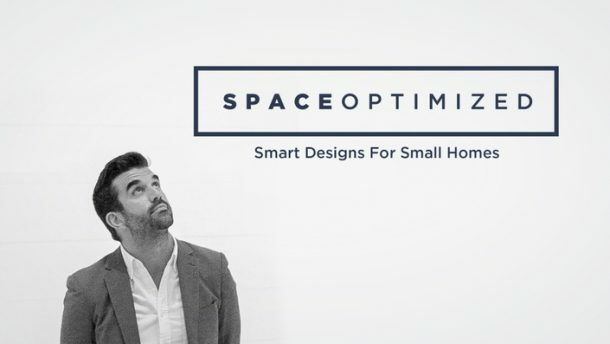 If your small apartment design doesn’t have room to spare for a home office, try setting your desk behind the sofa. It’s a great spot for getting things done. This goes especially if your living room has huge windows. Imagine getting work done then spending the rest of the day lazing around the living room. Or people watching during your breaks! Make that empty space behind the sofa glow… literally! 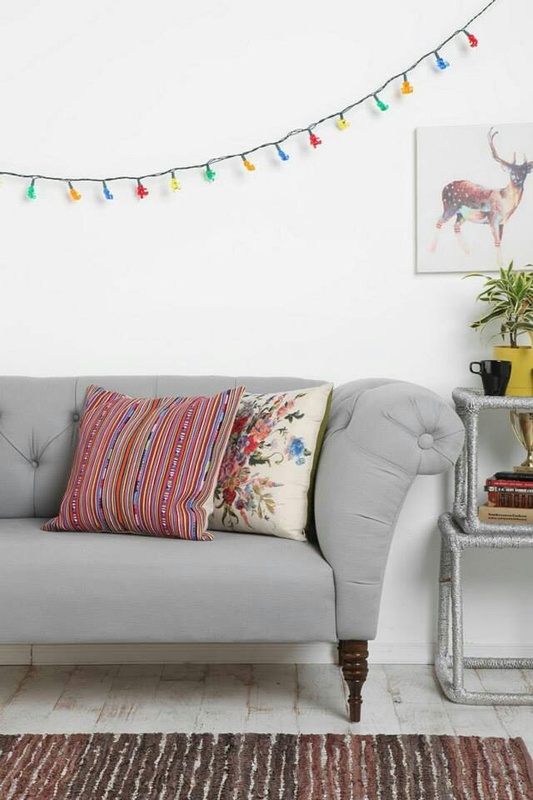 Add a touch of whimsy to an otherwise plain, lifeless spot by hanging string lights. You can also use fairy lights, decorative lamps, LED lights, etc. to brighten this spot. With the right lighting, your living room will look extra cozy at night.